In today’s hyper-competitive world of CDL driver recruiting, every single driver counts. Thanks to the ongoing driver shortage, drivers can now afford to pick and choose which carriers they want to work with. This means that carriers and recruiters must be able to deliver an innovative, driver-first approach to recruiting and retention. Contrary to popular belief, recruiting and retaining drivers doesn’t start with the first conversation. Instead, it starts much earlier in the process: the very first time a driver hears about or learns about a brand. This first impression can have a huge impact on the future relationship your team has with drivers. Everything from your messaging to mission to values tells candidates what type of organization you’re running, and in order to attract the best candidates possible, your brand must be able to optimize every single part of this brand voice. In this upcoming webinar, How to Promote Your Brand to Attract Great Candidates, Priscilla Peters, VP of Marketing for Conversion Interactive Agency, will present best practices and real-world strategies for optimizing your branding approach. How to drive applicant conversions from the top of the driver lead funnel all the way through to a new hire. Strategies to differentiate your brand and organization from the competition to attract more drivers. Ways to show up in the ‘moments that count’ during your recruiting and retention efforts. How to understand the data behind how drivers search, engage and prefer to communicate in today’s mobile world. Register for the first webinar in the series, How to Promote Your Brand to Attract Great Candidates, now! Priscilla has over 20 years of experience in the transportation industry, specializing in driver recruiting, retention, marketing, advertising, communications, and training. 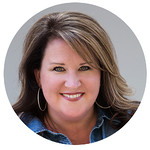 She is currently the Vice President of Marketing & Training for Conversion Interactive Agency, the leading driver recruiting and retention agency in the trucking industry. Priscilla speaks nationally for organizations on topics relating to driver recruiting and retention, and she brings insight and first-hand experience on how motor carriers should think differently when it comes to recruiting and retention. She has experience working for both a large motor carrier handling their internal driver advertising and marketing, and also experience with the leading advertising agency in the market.